Norristown, PA – May 28, 2015 – Today marks the beginning of an exciting merge of two local florists in Norristown; Plaza Flowers on Egypt Road and Anna Catanese Flower Shop on DeKalb Street. Both shops have endured for generations, giving customers high-quality products for decades, but only Anna Catanese Flower Shop enters their hundredth year as the oldest florist in Norristown. Both shops plan to bring their valuable wisdom and loyal clientele together to forge a bond that will propel them forward for generations to come. 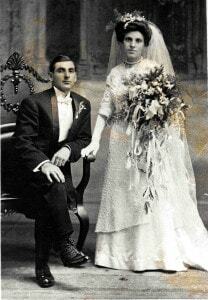 Domenic Catanese immigrated to the U.S. in 1888. Shortly thereafter, he began growing fruits, vegetables, and flowers on his eleven-acre farm on Tremont Street in Norristown. Around 1900, he opened 20th Century Florist and Seed at 321 DeKalb Street to sell his produce and seeds. Flower sales were slow at first but grew quickly, leading to the addition floral design and delivery services around 1910. 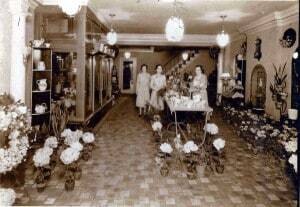 In 1915, Domenic’s daughter-in-law & floral designer, Anna, purchased the store with a $3500 loan from neighboring businesswomen. She then employed three of her family to help make the Flower Shop a success. Anna’s husband, William, died of pneumonia that same year, leaving her with a business to run and three young children to raise. 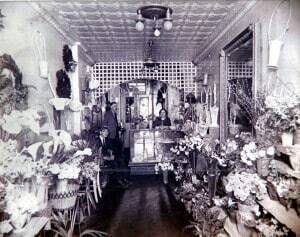 At that time the flower shop was only nine feet wide, but 50 feet long. But Anna was very driven to make the business work, and educated herself at the local library about how to run a flower business. Anna earned a reputation as hard-working single mother, who also built a very successful business. She relied on many family members and friends to help her in this endeavor. By the 1930 she had made a success of the business and she purchased the building next door and widened the width of the store to eighteen feet. She now employed 6 members of her family: Her brother, Richard, Sisters Dolly and Rose and three nieces. 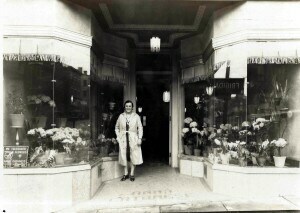 Anna’s youngest sister, Rose, was very instrumental in running the shop. Rose also suffered the loss of her husband in 1938. For several decades the duo of strong, entrepreneurial women garnered much success in a male-dominated business world. Plaza Flowers plans to serve all Catanese customers from their flagship location on Egypt Road. Daily deliveries, including Sunday, of flowers, plants, balloons, and gift baskets will continue throughout Philadelphia and all suburbs. 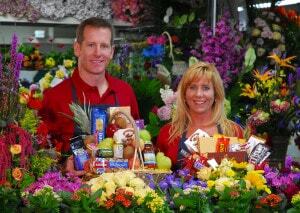 “We will combine the best of both florists to exceed customer expectations on every occasion,” explained Drummond. As these two well-seasoned businesses carry on as one, they will continue with the same goal upon which they were founded: To provide superior service and satisfy customers with consistent top quality flowers, plants, related gifts, and services with unsurpassed excellence. Plaza Flowers is very excited to combine the tradition rooted in the Anna Catanese Flower Shop with their own tradition spanning three generations. Wayne, PA - July 29, 2013 - In 1888, a baker named Frank Adelberger decided to become a flower grower and built his first greenhouse at the corner of Wayne Avenue and Conestoga Road. 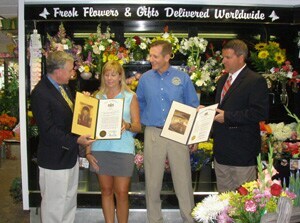 Thus began the 125 year tradition of Adelberger's Florist, which is now the oldest business in Wayne. However, construction of 6 homes and complete renovation of the retail building is about to begin on that parcel. Florist, Barry Barnett, had to find a way to continue providing flowers, plants, and gifts to thousands of loyal customers during the construction. In stepped Chris Drummond, a third generation florist himself. He began working in his family business, Plaza Flowers, at the King of Prussia Plaza thirty years ago. Drummond and Barnett have become friends in recent years and Barnett knew that the team of 30 artisans and support staff at Plaza Flowers could handle the volume and provide the top quality designs that Aldelberger's Main Line clients have come to expect. “This partnership is a win-win,” explained Barnett. “Plaza Flowers has all the equipment, the technology, the space, and the talent to bring elegantly designed fresh flowers to my customers seven days a week. We're taking the best of Adelberger's and making it even better.” Barnett did not have to worry about the headache of relocating. A simple data export/import brought all the customer profiles and preferences into the point of sale system at Plaza Flowers. Adelberger's now has access to a greater variety of farm-direct fresh flowers and delivery fleet at Plaza's 10,000 square foot facility in Valley Forge. Customers will see faster delivery, more convenient hours and seven-day service. Philadelphia, PA (06/24/2011) - As another 4th of July fast approaches, the design team at Plaza Flowers prepares for the exciting opportunity to highlight their craft at the 2011 WaWa Welcome America! Parade. Showcasing everything great about the city of brotherly love, the parade kicks off a day of celebration worthy of the great nation that was originally founded in Philadelphia. With two locations, one in Norristown and one in downtown Philadelphia, Plaza Flowers and their skilled team of floral designers will be working with thousands of blooms from farms in Colombia, Ecuador, Holland, Hawaii, California, Florida and Pennsylvania to create beautiful, unique floats for the event. A special variety of red rose named "Freedom" will be imported for this event. "We are honored to be selected once again to be an active participant in this celebration of liberty," says Chris Drummond, president of Plaza Flowers. "As Philadelphia was the birth place of modern democracy - an idea that has spread throughout the world - it is only right that flowers from across the globe are brought together to symbolize the international cause of freedom." Plaza Flowers will be designing and decorating quite a few of the many floats found in this year's parade. Planning to use a wide variety of fresh flowers including, roses, lilies, larkspur, snapdragons, anthurium and iris, the Plaza Flowers team is busy organizing every detail for the big day. July heat is always an issue, when it comes to keeping flowers looking their best on the day of the parade. This is where the careful orchestration of the team is put to the test - as float decoration will take place hours, not days, before the start of the parade. "When you are working with botanical of any kind, there is a real balancing act that must be done so everything is displayed at its peak beauty and freshness," said Drummond. "That being said - I am continually impressed and honored by our team's ability to come together to create amazing, unique floats for this extremely special event." Winding through historic downtown Philadelphia, PA, Mayor Michael Nutter and special guests The Roots will be kicking of the parade in style. To learn more about this year's parade, visit www.welcomeamerica.com. BALTIMORE (August 2010)- Samantha T. Pascal, Design Manager and Director of Education at Plaza Flowers, has been recognized by the American Institute of Floral Designers (AIFD) as a recipient of its coveted Certified Floral Designer (CFD) designation. Pascal was granted this designation after successfully completing the Professional Floral Design Evaluation (PFDE) that took place July 1 immediately prior to the Institute's National Symposium in Boston. The floral industry's leading non-profit organization dedicated to the advancement of the art of floral design through education, AIFD created its CFD program, in part, to provide a tool for consumers to use when selecting a professional floral designer. CFD recognition is granted only after a floral designer has demonstrated their understanding of the concepts of design through education pathways and then by subjecting their floral design work to a vigorous peer evaluation conducted by an international panel of design experts. "The AIFD CFD professional designation salutes a floral designer for his or her artistry and provides consumers with another tool to use for selecting quality professional work," said Bill McKinley AIFD, Associate Dean at Kishwaukee College in Malta, IL and the chairman of AIFD's CFD Development Committee. 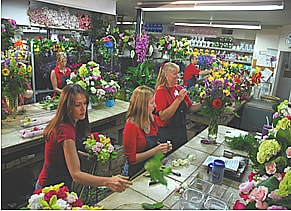 As part of its recognition program, AIFD will assist consumers in locating a CFD qualified floral designer by listing them on its website, www.aifd.org. Floral designers who achieve the CFD recognition will be required to hone their artistry through continuing education in the field of floral design. In addition to leading a team of 30 at Plaza Flowers in Philadelphia and Norristown, Ms. Pascal also runs the Floral Design Academy by Plaza Flowers. For more information, please visit www.pflorist.com/floraldesignacademy.asp or call 610.630.8825. Plaza Flowers Recognized As Top 100 Florist Nationwide. West Norriton, PA, July 14, 2009 - Teleflora is the largest floral wire service in the world. It's 15,000 members are ranked annually based on order volume. For 2008, Plaza Flowers was ranked in the top 100 for the 24th consecutive year. This week, Joyce Crist of Teleflora presented the award to Plaza Flowers owners, Heather Tuckey and Chris Drummond. "This ranking places us in the top 1% of all florists nationwide. 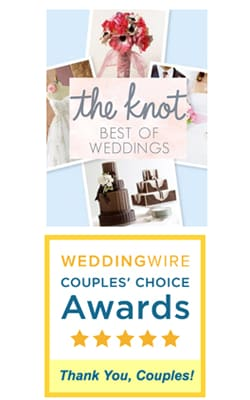 Such a tremendous honor is a credit to our staff's commitment to exceptional customer service." added Drummond. Plaza Flowers, incorporated in 1983, has served over a million customers. Plaza Flowers delivers distinctive floral arrangements and gift baskets throughout the Delaware Valley from their one location in West Norriton, PA. The 10,000 square foot facility includes a floral & gift showroom, a state-of-the-art floral conditioning station, a computerized delivery center, a design studio, and offices. Last year, Plaza Flowers processed over 40,000 orders for decorations and gifts using flowers, plants, fruit, gourmet food, plush toys, balloons, and other unique gifts. They specialize in combining these products in creative gift baskets. "High quality and unique products launched our success, but added convenience, farm-direct flowers, and unsurpassed service has increased our volume in recent years," said Tuckey. "We began in the 80's with evening and Sunday hours, then started free fax and cell phone ordering programs in the early 90's. By 1995, we had a full color catalog and order form on the Internet. We keep looking for new ways to give our customers convenient access to our products and services." After all of the national recognition, they still recognize the importance of the local community. In the past year, Plaza Flowers has supported over 200 local charities with donations of time, money, and products. For more information about fund raising opportunities for local charities, please visit www.pflorist.com. West Norriton, PA, July 1, 2009 - In preparation for a huge birthday party on the 4th of July, the design team at Plaza Flowers in Norristown is busy creating a visual feast of flowers for floats in the Sunoco Welcome America! Parade. Thousands of blooms from farms in Colombia, Ecuador, Holland, Hawaii, California, Florida and Pennsylvania will be used bring a fresh, fragrant touch to this year's floats. "We believe that this parade is a celebration of liberty that was nurtured here in Philadelphia and has spread throughout the world," says Chris Drummond, president of Plaza Flowers. "As the world celebrates with us, it is appropriate for the flowers to symbolize the international cause of freedom." Among the florists asked by parade organizers to decorate these colorful floats, Plaza Flowers was assigned the opening production float, featuring Disney vocalist, Davonda Simmons, and the finale production float, featuring Radio Disney recording artist, Joey Page. Floral design manager, Samantha Pascal, has planned the use of a wide variety of fresh flowers, including, roses, lilies, larkspur, snapdragons, anthurium and iris. "The producer has given us creative liberty, which makes this design challenge so much fun says Pascal. With keeping the flowers hydrated and looking their best in the July heat as the top priority, Pascal and the Plaza Flowers design team will decorate the floats at 5th and Chestnut streets only hours before the parade begins. Parade producer Todd Marcocci says the fresh perspective adds new depth to the annual parade. 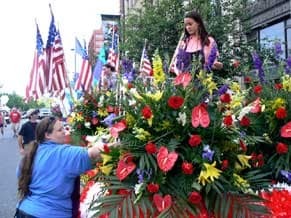 "Fresh flowers add another entire dimension to parade floats, and we are so grateful to have so many florists from the region donating their time and product to make America's birthday extra special. It is one thing to see silk flowers, but to have live floral works of art on floats is a huge addition to what will be a spectacular event - everyone should come and see this parade!" This year's parade will wind through the centuries-old streets of Historic Philadelphia. Following traditional morning ceremonies on Independence Mall, Mayor Michael A. Nutter and a few surprise guests will travel through the city's oldest, most storied district. West Norriton, PA, May 1, 2009 - This Mother's Day, Plaza Flowers will partner with Snowball Express to honor our fallen heroes. Bouquets of fresh flowers will be delivered to Delaware Valley women whose husbands died while honorably serving our country since September 11, 2001. "We are proud to partner with an organization like Snowball Express," says Chris Drummond, President of Plaza Flowers. "Many of these women are also mothers who are working hard to provide for their children who have lost their father. We want these moms to know that they are remembered and honored this Mother's Day." Snowball Express started in early 2006 with a simple idea: Provide hope and new memories to the wives and children of military fallen heroes who have died while on active duty since 9/11. The organization partners with businesses around the country to host gatherings for family members who have lost heroes. In 2008 a total of 1,437 attendees came to the third annual event with over 900 children attending, many for the first time. Children who had attended previous events rekindled friendships with children met at previous years and new children attending for the first time were mentored by those who had been before. For more information about Snowball Express visit www.snowballexpress.org. Plaza Flowers is working in conjunction with non profit Kids Flower Foundation that develops flower fundraising programs across the USA. These fundraisers support great charities and causes within the participating retail florist's local community. The Kids Flower Foundation also supports educational and social awareness programs for children in flower producing countries that produce their products. Go to www.pflorist.com and click on the fundraising link for more information. Drummond added, "In addition to honoring military heroes and their families, this program will hopefully bring awareness to the support we offer to all Delaware Valley charities through successful floral fundraising events." 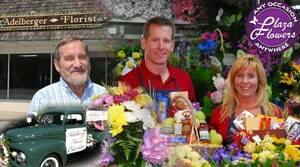 Plaza Flowers is a family-owned retail florist with three generations of experience serving Philadelphia and suburbs. "...Plaza Flowers is being congratulated upon the momentous occasion of its silver anniversary . . . Established in 1983 by Dottie Drummond, a second generation florist, Plaza Flowers grew upon the principles of availability, personalized attention and delivering an excellent product. Now operated by Mrs. Drummond's children, Heather & Chris, Plaza Flowers has expanded to the national level through a network of affiliate florists throughout the country. Throughout its laudable history, Plaza Flowers has made inestimable contributions to the welfare of society through a sense of fellowship and through its services, which are designed to enhance the quality of life for all. A succession of dedicated family members have made this possible for 25 years, keeping ever mindful of the noble maxims set forth by its founder." Plaza Flowers began in the King of Prussia Plaza. Eleven months after the grand opening, a second location opened in Jeffersonville, which was planned to support the primary sales location in King of Prussia by housing the offices, warehouse, and design facility. This new location became one of the busiest intersections in the Philadelphia region. Continued success is a result of Dottie Drummond's very simple philosophy: "Deliver beautifully designed fresh flowers everyday." Many people thought she was crazy. Everyday? Even evenings and Sundays? No florist.